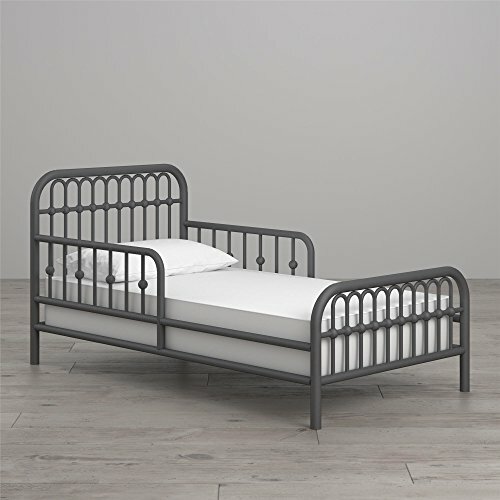 Based on classic 18th century wrought-iron furniture, our Monarch Hill Toddler Bed is created from non-toxic painted steel tubing. This stable and strong structure uses arched metal combined with beautifully crafted ball castings on the tubes. Side rails with curved corners supply style and safety. Available in grey, white, and pink to coordinate with the Monarch Hill collection. Mix and match your pieces to create a one-of-a-kind space for your child. Like all Little Seeds products, this purchase helps support a major environmental initiative. Discover how this can help you and your child involve your community in habitat rebuilding.